World Bank has given rankings for the industry friendly states of India and surprisingly, Telangana stands at 13th place while AP is at 2nd place. The question now emerges that when two states have similar Industry policy, how the World Bank has awarded 2nd rank to A.P., and 13th rank to Telangana State. Here are the key factors that were considered to give rankings. To attract investments, the state has unveiled the Telangana State Industrial Project Approval and Self-certification System (TS-iPASS)—a single-window for clearing all investment plans. “If one cannot get a response from the government on 15th day, the proposal is deemed to have been given approval. On the other hand, the Successor State of Andhra Pradesh has also unveiled New Industrial Policy. This policy seeks to create an investor-friendly climate by ensuring the highest ease of doing business and would provide all the clearances within 21 working days. Empowered committees and state-level bureau have been created for review and monitoring the implementation of the policy, which is designed with spot approvals, deemed approvals and online application filing among other features. Andhra Pradesh has single window clearance in which facilitative ecosystem was created, to provide all clearances/approvals within 21 working days to set up an industry. All relevant competent authorities are mandated to receive applications and process the same only via Single Desk mechanisms. Single Desk Mechanism provides for State clearances required for starting an industry across pre establishment and pre operation phases. A Chief Minister’s dashboard has been designed as a tool for effective monitoring of the applications received. Telangana has also having single window clearance in which permissions will be given for new Industries through Telangana State Industrial Project Approval and Self-Certification System (TS-iPASS), to provide for speedy processing of various clearances and approvals. A single consolidated TS-iPASS Consent. For establishment and TS-iPASS Consent for Operation certificate is given for all clearances granted for pre-establishment and pre-operation phases respectively. Self-certification furnished by the entrepreneur is accepted for the purpose of granting clearances by the competent authorities. Any industry must get clearance from all the departments within 15 days. “If one cannot get a response from the government on 15th day, the proposal is deemed to have been given approval. Andhra Pradesh- spot registration with only verification of basic documents at the time of registration. Telangana - Permissions will be given after verifying the self-certification documents. 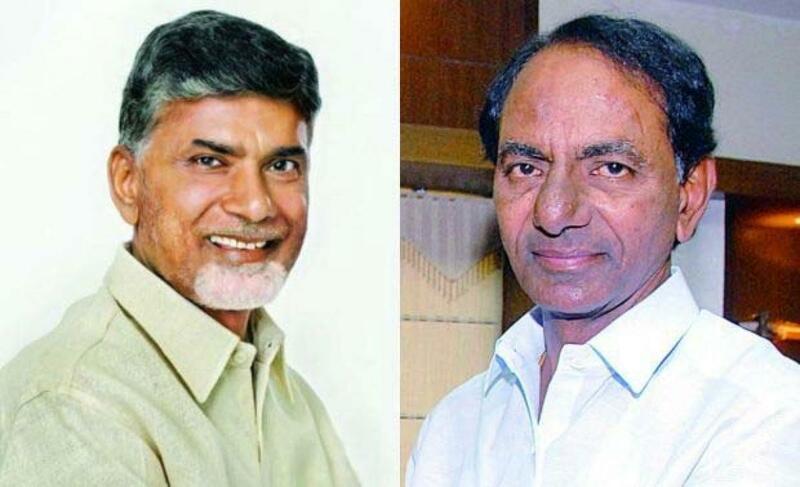 Tax: Both AP and Telangana have similar Tax structure for new firms- the major tax incentives for industrial units is reimbursement of 100 per cent VAT/GST for micro and small units for five years, 75 per cent for medium and 50 per cent for large industries for seven years or up to the realization of 100 per cent fixed capital investment, whichever is earlier. Other incentives include 100 per cent stamp duty and transfer duty on purchase of land, mortgages and hypothecation and 24/7 power supply with a power cost reimbursement at Re 1 per unit for five years. The government would also provide external infrastructure on a case-to-case basis. SC, ST and women entrepreneurs have been are provided with extra incentives. Labour:compared to TS, AP has full labor resources. Land: AP has vast amount of land that will be viable for new installations with water and power supply. Telangana has an extent of 150,000 acres of Government land has been transferred and is now vested with Telangana State Industrial Investment Corporation (TSIIC). This land is ready to be occupied for industrial purposes. This transferring of land to TSIIC will help save crucial time for industries and is an investment friendly initiative. In addition, TSIIC also has 150 ready to occupy Industrial Parks. Some of the industrial parks will also permit multi-sectoral activities and general manufacturing units. Despite of above facts, the World Bank has listed AP well above Telangana after considering these key factors. Coming to Telangana has the advantage of having a readymade capital with all the necessary infrastructure and ecosystem in place. Hyderabad with a ‘world-class infrastructure’ including the Outer Ring Road, connecting radial roads and the upcoming Metro Rail will kick start growth. The city will continue to grow on account of outstanding infrastructure, cost competitiveness, skills availability, which in turn would spur industrial development. Hyderabad had 20% of pharma exports from India, making the city a hub for the drug industry. Pharma exports from Telangana may not face any hurdles as the Rajiv Gandhi International Airport at Hyderabad has necessary infrastructure for storage of drugs. Health care, education and tourism are the other major revenue earners for the city. Of the 72 notified special economic zones (SEZs) in the state, 37 are located in Hyderabad and Rangareddy. In fact, Hyderabad and Rangareddy districts account for 44% of the registered manufacturing and 39% of the construction activity of the region. In case of Andhra Pradesh, it has no capital and no infrastructure in designated capital place, then how it is going to emerge as an attractive preposition for investment? It will have to build the capital first. The region stands likely to get benefited in this process of building capital. The large investments is required in building new capital, educational institutions, and hospitals and among others, when the state is already in crunch of funds and awaiting for funds from the Central Government to accord Special Status. In the circumstances, how the World Bank has ranked the state 2nd with 70.12 percent next to Gujarat and branded the State has the preferred investment destination for business, when all the parameters of A.P and TS are similar except labour . It is left to the wisdom of the World Bank.